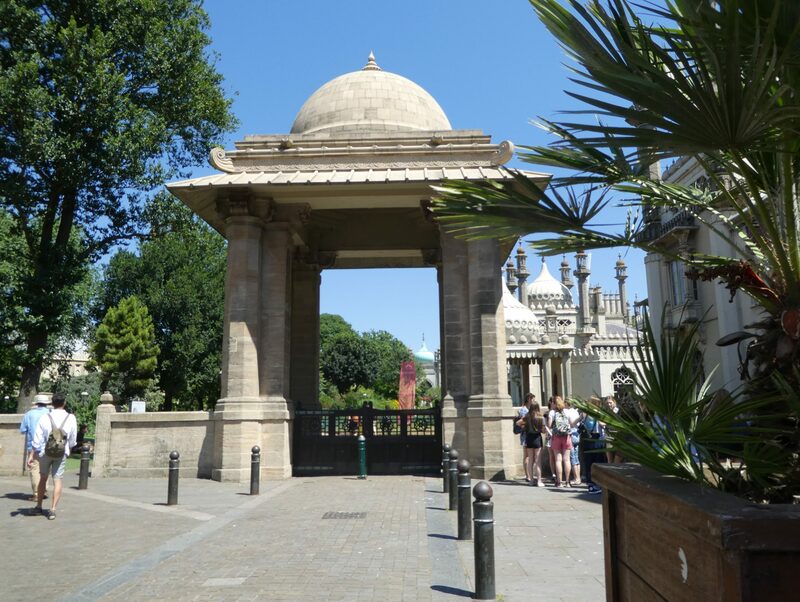 Many Indian soldiers were nursed in Brighton, where the Royal Pavilion was converted into a hospital. 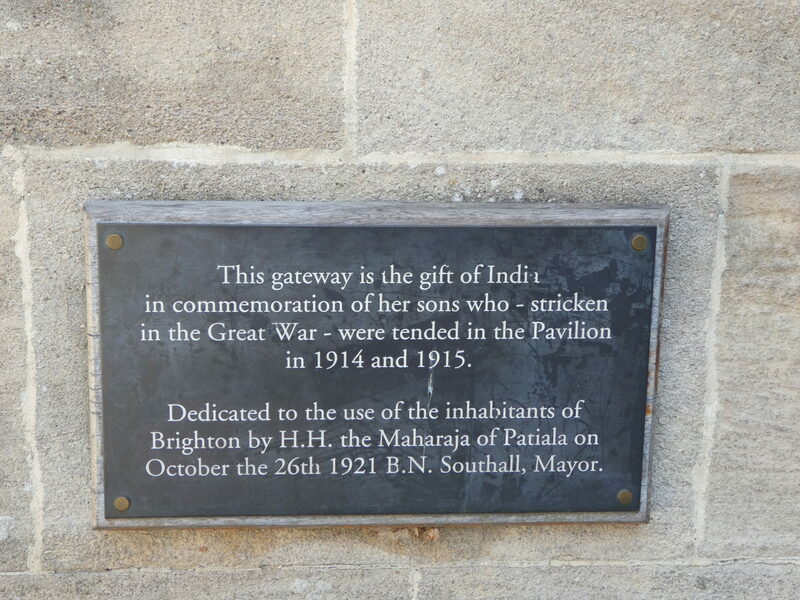 The India Gate in Brighton, opened by the Maharaja of Patiala in 1921, was funded by donations from India in gratitude for the nursing care that Indian soldiers had received there. 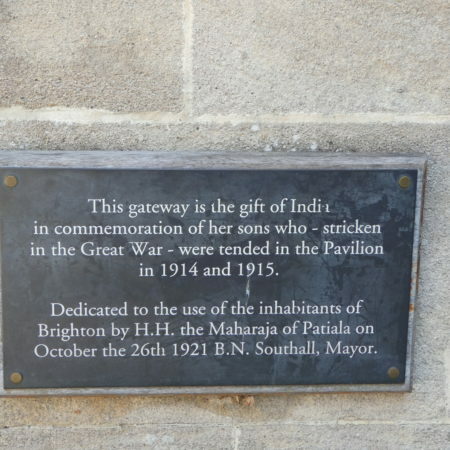 There are graves of Muslim soldiers at Brookwood Cemetery, and the Chhatri Memorial on Patcham Downs marks the ghats where Hindu soldiers were cremated. 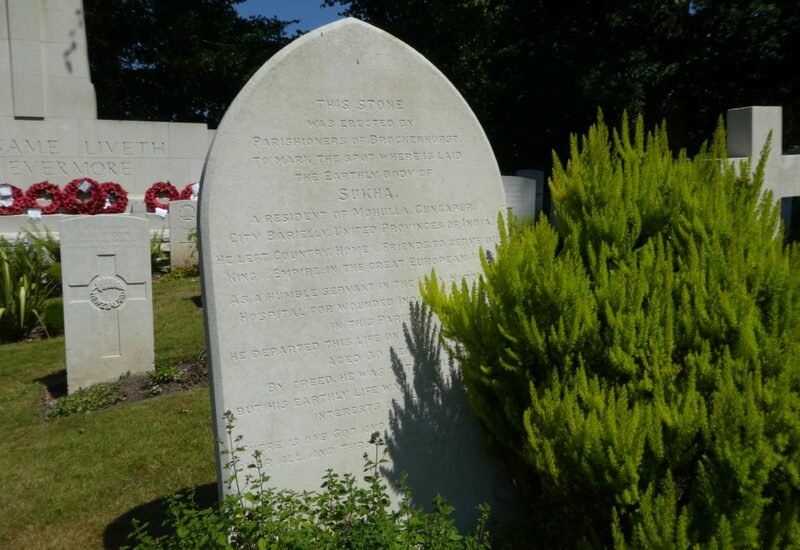 One of the most moving of these memorials is in the churchyard at Brockenhurst in the New Forest. Sukha (like many low-caste Indians, he had only one name) was a sweeper, an untouchable, from a village in Uttar Pradesh. 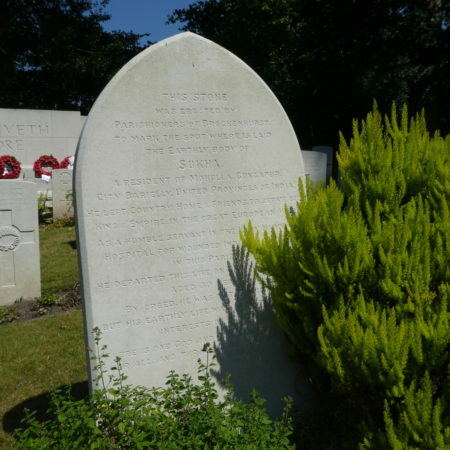 He had served as a cleaner in the army camps in France and in the Lady Hardinge Hospital in Brockenhurst. There he became ill with pneumonia, and he died in January 1915. 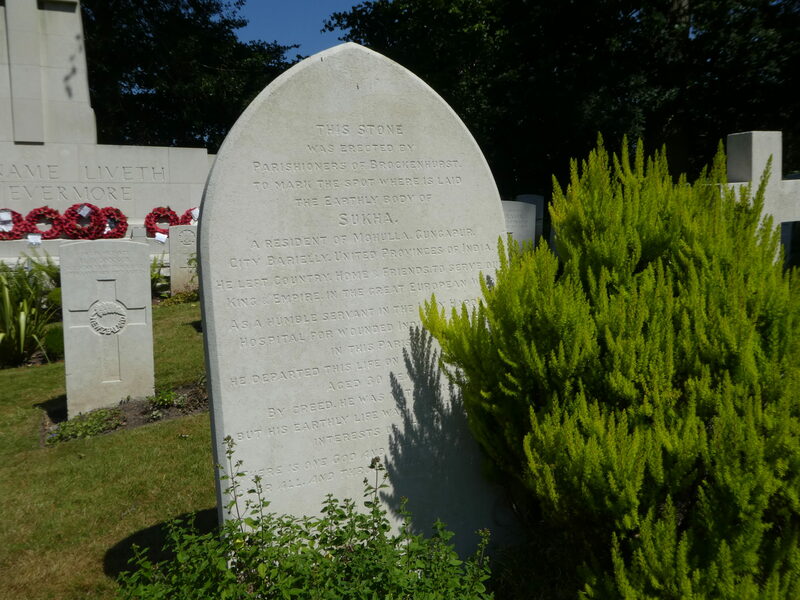 The stone is to the rear of a group of Commonwealth war graves to New Zealanders, next to memorials to a couple of other Indian soldiers. The Kiwis were moved into the hospital after the Indians were moved out. They are in an annex to St Nicholas churchyard now run by the council – a pleasant rural spot to be buried. Sukha’s story inspired a couple of fictional accounts of an Indian sweeper who became something of a swashbuckler. In Sir George Fletcher McMunn’s ‘Buldoo’ and ‘The War Story of an Outcast Sweeper’, Sukha becomes a heroic figure with a fine curled beard who has a series of adventures before dying on the battlefield in Mesopotamia. The original story is less dramatic but perhaps more moving. More Indians fought with the British from 1914 to 1918 than the combined total of Australian, New Zealand, Canadian and South African troops. 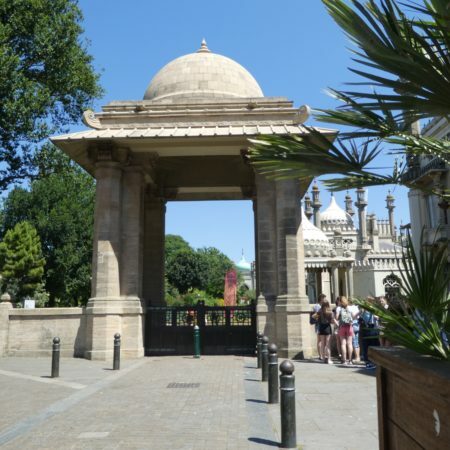 Some 34,000 Indian soldiers were killed on battlefields in Europe, Africa and the Middle East. But the part they played in the war has been largely whitewashed from history.. .